The current technological change generates intense social transformations that show up in the social interaction field leaving a digital footprint, conforming the socalled Big Data. Therefore, analysing Big Data allows us to know the way individuals interact between them and with institutions and firms. These transformations eventually affect the social, political and economic environments. From the social perspective, new forms of inequality arise within the digital society as well as a diversity of interaction and communication practices at different places. This digital interaction can only be studied by considering the actual physical mobility, since population telecommunicate (social networks, mobile phone calls, and so on) from the different places where they undertake their daily activities, leaving a digital track of those movements. In political terms, we are witnessing a transformation process towards an active expression and participation of citizens in the public arena. Thanks to Internet, citizens can coordinate themselves to take collective actions (social movements, trade unions, and so on). In addition, Internet, and particularly the social networks, open new ways of participation to citizens, thus becoming an extremely useful tool to improve the governance of the 21th century. Finally, developed economies are undertaking a significant change in their economic interactions towards collaborative and peertopeer economies. This concept refers to the capacity of the citizens to generate cooperation based services thanks to the web 2.0. The individual receives information and, what is becoming more important, has a great influence on the firm brand and results. SocialBigdataCM is expected to become a catalyser and generate powerful research synergies within the six involved research groups and with international researchers, firms and associated entities in the use of Big Data, a novel and promising field. Big Data will be used for monitoring and analysing the social transformation produced by the technological change in the social (inequalities in the digital society and new interactive practices), political (social movements and public participation) and economic (digital society, collaborative and formal economy) perspectives. A consortium made of six research groups from three Madridbased Universities will be in charge of developing the research, formative and dissemination activities. 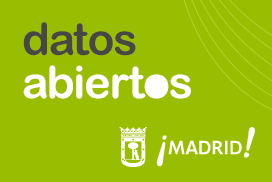 It is a multidisciplinar team including researchers from Sociology, Geography, Business Administration, Economy, Psychology and Engineering, as well as related technological firms (Telefónica, ESRISpain, Indizen), associate entities (Madrid Regional Transport Consortium, Observatory of the Metropolitan Mobility) and outstanding international experts. This opportunity to collaborate is particularly needed in a field as challenging as Big Data, which requires IT experts in data treatment working in close relationship with experts in Social Sciences in order to provide the best social use to these analysis. Due to this multidisciplinar approach, the network will be able to relate a wide spectrum of topics that are otherwise missed in traditional singletopic research works. The analysis of social phenomena through Big Data is an emerging research topic in the international community. Therefore, we expect this network to contribute to the generation of synergies that will strength the corresponding research group positions in the international scientific arena and increase their ability to obtain external funding from European research calls and from related firms. On the other side, the research results will be extremely useful for decision makers and stakeholders since the network will develop new analytical methodologies and will offer valuable information to help them adopt participative and inclusive policies, as well as to apply dynamic measures adapted to the fastchanging reality. In addition, the network is expected to have a high impact on the business through the generation of information related to the influence of social networks on the firm brand and activity, and the way companies can take advantage of those interactions to improve their performing.